Expensive kitchen equipment is not needed in order to make great meals on a WFPB diet. This can be seen in the healthiest and longest-lived populations on the planet, such as the Okinawans, who tend to have very simple kitchen equipment. Let’s take a quick look at some basic kitchen kit. You need a few pots and pans, whisks, spatulas, spoons, measuring cups, mixing bowls, colander, that’s it. Some of the healthiest populations in the world barely have electricity. So you really just need those basics. A rice cooker and slow cooker are useful additions, but the one that I tend to use almost daily is a pressure cooker. Drs Joel Fuhrman and Michael Greger make it clear that eating beans every day is one of the healthiest things you can do – particularly when bean-eating is linked to healthy longevity in several epidemiological studies 1 . 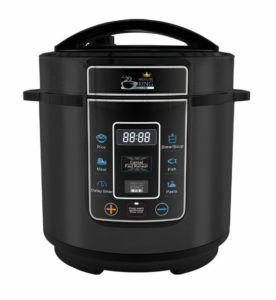 I would recommend something like this electric pressure cooker/ multicooker. 2 These are able to cook rice, be pre-programmed on a timer, slow cook, keep food warm and and, for me, most importantly, to switch off automatically once the beans etc are cooked. We also have a traditional pressure cooker. This will do the job well enough, but you can’t just dump the beans in, press the timer and leave it to do its stuff while you get on with other activities. Another piece of kit that I use almost every day is a small coffee/spice grinder. I include a tablespoon of ground flaxseeds and chia seeds in my daily diet (along with 6 halves of walnuts) so that I get enough ALA to make the EPA/DHA long-chain omega-3 fatty acids 3 4 that our bodies need. Flaxseeds are so tough that eating them whole means that almost all of them will just pass straight through you. Grinding them (and the chia seeds) ensures that you benefit from their powerful nutrients and phytochemicals – gram for gram, they are also the highest source of lignans5 of any food. As with most foods, freshly grinding them rather than grinding and storing the ground seeds is probably best. 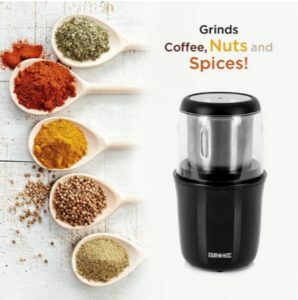 I use a simple coffee/spice grinder6 . It’s efficient and easy to use and clean. I also use it for grinding black peppercorns (to be added daily to the turmeric and tomato juice ‘anti-cancer’ drink) 7 , nuts (to be integrated into salad dressings, sauces, etc) 8 9 , etc. High-grade blenders, juicers and food processors are, of course, really useful if you can afford them and if you’re going to use them regularly. The cheaper end of the market in these products tend to produce results that are less than satisfactory a lot of the time. This is particularly the case if you are blending/juicing vegetables/fruits with little or no added water. However, you simply don’t have to spend £100’s or £1000’s on new kitchen equipment to have pretty much all you need to prepare optimally healthy meals. This is the same when it comes to kitchen tools. It’s always best to spend a bit extra on a really good quality sharp chef’s knife. Not only does it make such a difference in food prep, but it makes it more enjoyable and safer. 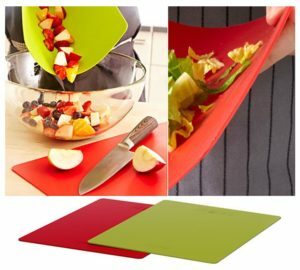 Also, having at least two chopping boards (one for fruits and one for veg) is important to avoid your strawberries having that onion or garlic taint! I use flexible, colour-coded polyethylene chopping ‘mats’ 10 . They’re easy to clean and, best of all in my opinion, once the food is chopped up on them, you can bend them and more easily scrape or pour into bowls, pans or whatever. Other tools include a grater, peeler and a potato masher. By the way, a potato masher isn’t just useful for white potatoes; it’s great for making mash from sweet potatoes, swede, mooli, turnip, carrots, etc, as well as for mashing tofu, beans etc. Finally, if you’ve never used silicone cookware, you would do well to give them a try – particularly important when eating a WFPBD without any added oils – something that’s strongly recommended 11 12 . I use silicone spatulas, sheets for baking, silicone bread tins for making bread, silicone muffin tins for making … yea, you get the idea 13 . That’s about it. There are lots of fads around and many people end up with often expensive kitchen equipment just gathering dust in cupboards. 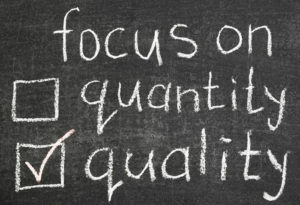 The most important thing is the quality of the food, not the quality of the gadgets! 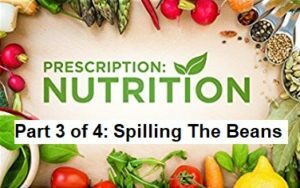 This series of four CuriosityStream videos, featuring our darling Dr Michael Greger, provides such as good overview of the health benefits of plant foods, as well as insights into how delicious plant foods can be as central features in our daily meals, that I thought it would be useful to show each video along with a transcript – just so that any useful links can be easier for you to copy and look up at your leisure. Part 1 looks at the power of green veggies. (Craig Sechler) The most important thing is to eat real food that grows from the ground. (Tracye McQuirter) We’ve known for decades that plant-based foods are healthier. (Dr Michael Greger) The reason people don’t eat more vegetables is that they just don’t realise how powerful they are. (Chef Rich Landau) Every vegetable in real cooking is about taking a vegetable like a Brussels sprout or a maitake mushroom and making them so incredibly delicious that you realise that cooking is all about flavour. (Craig Sechler) Food is an intrinsic part of human existence. 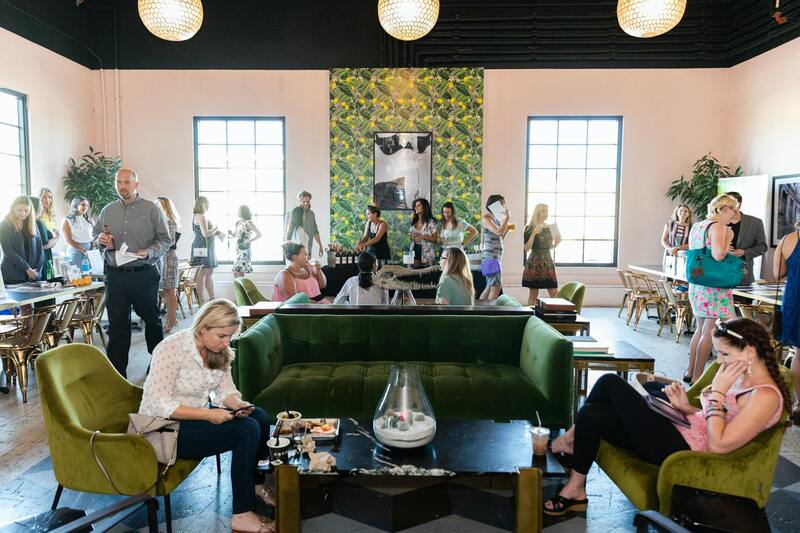 We come together around food, celebrate around food, and build traditions around food. Despite its fundamental role, our diet is one of the most worrisome aspects of modern life, but after decades of research, there’s hope that we may finally know how to change that. (Dr Michael Greger) The leading causes of death and disability are largely chronic diseases now; but 80% is completely down to lifestyle – what we expose ourselves to, what we put in our mouths (both cigarettes and food), whether we’re exercising. These are critical components and good news. It means we have tremendous power over our health destiny and longevity. The vast majority of premature death and disability is preventable with a healthy enough diet and other lifestyle behaviours. Medicine is excellent. We’ve got antibiotics. We can put you in a cast. We can take you to emergency surgery.We can slow down your diabetic blindness and kidney failure and amputations with drugs – with insulin injections. But none of these are actually treating the cause of the disease. 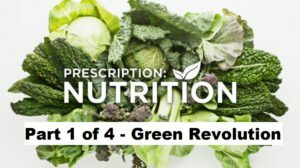 (Craig Sechler) Today, mounting evidence points to a plant-based diet – meaning food that grows from the ground – as the best way to prevent, treat and reverse chronic illness. Dr Michael Greger is an author and world-renowned public health expert who’s been highlighting the life-changing power of plants. He and his team review thousands of medical studies each year, and distil them into practical advice for his website nutritionfacts.org. One of the most comprehensive studies of health and eating habits was the 2005 China Study by Dr T Colin Campbell. A landmark report, it found significantly lower rates of chronic illness throughout rural China where people largely survived on plant-based diets. (Dr Michael Greger) There are populations around the world which don’t suffer from our epidemics of heart disease and type 2 diabetes and obesity. So if you take someone living in Japan, for example, which has the longest life expectancy, and they move to the US and start eating and living like the US, they get US diseases. And, similarly, if someone moves to Japan from the US, and start eating and living like the Japanese, the rates of these chronic diseases plummet, because these are lifestyle diseases. (Craig Sechler) Evidence goes as far back as the 1920’s when researchers uncovered a surprising correlation between plant-based diets and blood pressure levels in East Africa. (Dr Michael Greger) They took blood pressure from a thousand people living in rural Kenya. They eat a plant-based diet centred around fruits, vegetables, beans, whole grains, wild greens, and their blood pressures actually go down as they get older, whereas our blood pressures in the Western world go up. The same thing in rural China. 70 year olds with the same average blood pressure as 16 year olds. We’re talking 100/70 their entire lives – ideal blood pressure. Vastly difference diets from East Africa, but what they have in common is that they eat plant-based day-to-day, with meat only eaten on special occasions. In the Western world, the only population getting it down that low (110/70) were those eating strictly plant-based diets. (Craig Sechler) A reevaluation of the modern diet is underway. Health experts, food advocates, restaurateurs and the average consumer are taking a closer look at what we put in our bodies. Yet even with increasing scientific information available, our dependence on highly processed foods and animal products is a hard habit to break. (Tracye McQuirter) The only reason that people are not eating more plant-based foods is that the food industry has done a fantastic job with marketing and advertising. 70% of the food industry marketing is for processed foods, refined foods and junk foods. Those are the foods that Americans eat the most. The food industry is the largest industry in the country. Food is very intimate. Food is very emotional. Food is very personal. Food is very social. (Craig Sechler) Chef Rich Landau has been paving the way for a veggie renaissance from his kitchen at Vedge, a renowned plant-based restaurant thriving in the heart of Centre City Philadelphia – the cheese state capital of the world. (Chef Rich Landau) Give people great food and they’ll never look at what’s not on the plate. We’re wired to think that we need meat to enjoy our meals. That’s really not the case. It’s about flavour. It’s about what chefs and cooks do to the meat, not about the meat itself. They [shows mushrooms] are loaded with flavour and nutrition. Real cooking is about taking a vegetable like a Brussels sprouts or a maitake mushroom or a carrot, and making them so incredibly delicious that you realise that cooking is all about flavour. It’s all about the preparation. How do you put a carrot in the centre of the plate and convince people that this is worthy of being the focus of the plate? The carrot itself is absolutely delicious when cooked properly, and the texture of it is just hitting home because it’s so beautifully and perfectly cooked. So now you’ve convinced people who are used to seeing carrots only as puree in a soup or raw in a salad that this is worthy of knife and fork food. (Craig Sechler) Statistics show that most people rarely consume the minimum amount of recommended fruits and vegetables each day. And their continued reliance on processed foods has many experts pushing for a complete rethink of the nutritional advice we’ve been given for the last half century. (Dr Michael Greger) The reason people don’t eat more vegetables is that they don’t realise just how powerful they are. We have this sort of resonating “eat your greens”, but what’s the science behind it? (Tracye McQuirter) We’ve known for decades that plant-based foods are healthiest. It’s pretty straightforward. Plant-based foods have fibre. Animal-based foods do not. Fibre is essential for preventing chronic disease and promoting health, and most plant-based foods are high in vitamins and minerals, antioxidants, phytonutrients. They’re the foods that promote health; that help clear our arteries; that help us maintain a normal blood sugar level, help prevent heart disease, help prevent obesity and getting overweight. (Dr Michael Greger) The most important thing is to eat real food that grows from the ground. Dark green leafy vegetables are the healthiest vegetables – in fact, the healthiest food period, with a great nutrient density than anything else we can put into our mouth. Translating to about a 20% drop in stroke and heart attack risk for each daily serving of greens. (Craig Sechler) Capitalising on the growing interest for nutritious options, many chefs have been working hard to redefine our relationship with food. Their goal: to create intensely satisfying, crave-worthy combinations that win out over less healthy processed and animal-based options. (Chef Rich Landau) It’s all about kind of changing your perception of what you’re expecting and what you’re actually getting. How do you actually rewire their brains as to what vegetables are capable of? Every vegetable is delicious. They’re not a side dish. They’re not torn up little bits in this chopped up little stir fry. They’re the main focus on the plate. Let’s take Swiss chard for example. Something that people see as traditionally very chewy, a little too leafy for most palates. Swiss chard, like most greens, needs to be blanched first with a little salt in it. [I do not recommend adding salt] The greens go in and they come right out. I mean ten seconds, that’s all you really need. That basically sets their colour and texture and tenderises them. The next thing you want to do is to saute very gently with garlic and olive oil in a pan with salt and pepper. [Ditto with olive oil – I don’t recommend using any oils] The trick with the greens is getting them cooked to perfection. If they’re under-cooked, they’re going to be a big chewy, chlorophyll-laden mess that you’re just going to chew like a horse a the table. And you’re just trying to get through this saying to yourself “it’s healthy…it’s healthy”! That’s not how you should be eating your greens. Greens are actually delicious. (Craig Sechler) In addition to dark leafy greens, research has shown that a high intake of cruciferous vegetables like cabbage and broccoli, can reduce prostate cancer progression, stop the spread of metastatic cancer and prevent DNA damage. One recent study comparing smokers with a high intake of broccoli with smokers eating no broccoli at all, found 20% less damage in the broccoli-eating group. (Dr Michael Greger) The reason broccoli is so good for us is that any of those cruciferous vegetables, whether we’re talking about cabbage, broccoli, collard greens, kale, have this class of compounds called glucosinolates. What they do is they boost your liver’s detoxifying enzyme systems. So basically, all the blood (before it goes to your body from your digestive tract) first goes through the liver. The liver’s like the body’s bouncer. It keeps out any toxins, detoxifies any carcinogens, and then lets the blood flow to the rest of the body. And so that’s why it’s so critical to eat cruciferous vegetables every single day, because it’s to boost your liver’s ability to detoxify the carcinogens and pollutants from our environment. (Chef Rich Landau) I absolutely love broccoli. It’s probably my favourite vegetables. We blanch it first, then we char grill it. And broccoli takes on this great smoky flavour when you grill it. The florets get charred up, the stem gets these beautiful char grill marks on them. And then we float this in the shiitake dashi which is a Japanese broth, usually made with fish, but which we make with shiitake mushrooms and seaweed. And the effect is just so beautiful – very smoky, very rich and also very meaty and satisfying. (Craig Sechler) Whilst dark leafy greens and cruciferous vegetables boast the biggest nutritional bang for the buck, diversifying our vegetable consumption is essential for our overall health. According to the Global Burden of Disease Study, inadequate vegetable intake is a leading dietary risk factor for chronic diseases, comparable in harm to the consumption of processed meats. (Dr Michael Greger) We should really eat the rainbow when it comes to choosing our vegetables, because many of the anti-ageing, anti-cancer, antioxidants are the plant pigments themselves. So, for example, the beta-carotene that makes the carrots, sweet potatoes and cantaloupes orange, or the lycopene (the red pigment) in potatoes is the same kind of chemical nature of pigment compound that reflects that gorgeous colour. These antioxidant properties can be so helpful within the body. (Craig Sechler) Eating a diverse plant-based diet raises our exposure to essential nutrients like vitamin C, found not only in citrus fruits but in vegetables like peppers and sweet potatoes. Experts say there may be more than 30,000 different phytonutrients, with a long list of health benefits that are still being discovered. And they’re not just found in the most colourful fruits and vegetables. Some of the most potent nutrients are packed in nature’s palest packages, including cauliflower, onions, garlic and mushrooms. There are over 2,000 varieties of edible mushrooms, and research has shown they are one of the most powerful foods for boosting our immune system, reducing inflammation, and preventing cancer. (Dr Michael Greger) Just like there are unique cancer compounds specific to the cruciferous vegetable family, there are these unique compounds in mushrooms like ergothioneine which is an antioxidant amino acid found basically only in the mushroom kingdom. Meaning, if we don’t eat mushrooms, we don’t get it into out diet. It’s found particularly in our retinal tissue and reproductive tissues. It’s basically housed in very sensitive tissues in the body because it has such a cytoprotective or cell protective effect. Eating just plain white button mushrooms can so boost our immune function that it can significantly reduce our risk of common respiratory infections like the common cold. (Craig Sechler) For chefs like Rich Landau, the incredible variety and richness of mushrooms provides a tremendous opportunity to change people’s perceptions of often overlooked foods. (Chef Rich Landau) I mean, they’re just incredible. They’re good for you. They’re meaty. They’re just delicious. We love really, really big cuts of mushroom like a maitake or portobello that can stand on their own in the middle of the plate. And again, it’s about that knife and for satisfaction when you’re cutting through it. We have another mushroom that we import from Italy called the nebrodini, and they are these medium-sized white mushroom with this very, very silky flesh to them. So we shave these very thin and cook them in this tomato-basil sauce and we call it Nebrodini Mushrooms As Fazzoletti. Fazzoletti are like little handkerchiefs of pasta. Little tiny squares of pasta swimming in broth or sauce, so actually using the mushrooms as the pasta and that’s exactly how it eats, and it’s just beautiful what you can do with mushrooms in that sense, because they’re so adaptable. They can do what you want them to do, but you have to listen to what they really are and respect their qualities. (Craig Sechler) While the rising tide of health problems might seem like an uphill battle, significant progress continues to be made as plant-based foods make their way from farms to our tables. Research, preventive medicine, and awareness all play critical roles when it comes to our health. But the decisions we make on a daily basis continue to be the biggest factor. (Dr Michael Greger) It doesn’t matter what you eat on your birthday or special occasions or on holidays. It’s really the day-to-day stuff that adds up. On a day-to-day basis, the more we can centre our diets on whole health plant-foods – real food that grows out of the ground – the healthier we will be long-term. The 1958 Delaney Amendment stated that “…no additive is deemed safe if it is found [in “appropriate” tests] to induce cancer when ingested by man or animal…” This US amendment required zero tolerance – that is, no amount of any substance found to be carcinogenic could be added to food. Of course, we know that this noble goal was never achieved and now we have carcinogenic food additives and carcinogenic food processing methods. £billions are spent researching potential carcinogens found in the environment rather than those found in food. Why is this? Simply, it is easier to get funding for this type of reductionist research than it is to deal with the complexities of human nutrition on a population-wide basis. Also, the so-called Toxic Triad of Big Food, Big Farming and Big Pharma put political and commercial pressure (and lots of it) on research institutions to avoid pointing the finger at powerful food manufacturers, distributors and sellers who make huge profits and contribute huge sums to both government and academic institutions around the world. Also, there has been an overwhelming emphasis on the first phase of the three phases of cancer (Initiation, Promotion & Progression). Genetic science appears to be somewhat hamstrung by a particular paradigm. Within this paradigm, consideration is almost solely given to the concept that the only approach we can take is to try and prevent cancers by avoiding the Initiation stage (which happens in a tiny fraction of a second) when DNA is first exposed to carcinogens at the point of cellular reproduction. Once the cancer has passed to the Promotion (years to decades) or Progression (usually years) stages, the seemingly unchallenged consensus appears to be that there is no point in doing anything other than turn to one of the three ugly sisters – surgery, radiation or chemotherapy. 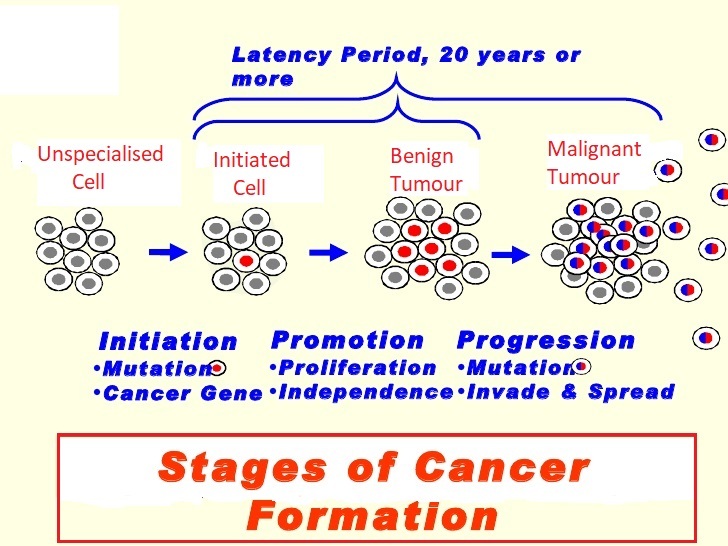 As we will see later, there is strong evidence that cancer can be slowed, halted and even reversed completely throughout the Promotion stage and, to perhaps a lesser degree, in the Progression stage of cancer development. Again, we see a tendency to seek the “clearest” (read “easiest to research”) examples of dietary carcinogens as well as a tendency to miss the elephant in the room – namely, the fact that ALL cancers and other diet-related chronic diseases (e.g. heart disease, diabetes, obesity) are rising around the world at a pace perfectly in parallel with the equal rise in adoption of the Standard American Diet (SAD). There are reported to be between 80,000 and 100,000 environmental chemicals that would need to be thoroughly tested in order to establish whether or not they each represent a significant cancer risk for humans. Imagine how long that would take? As research teams trawl through these, the focus on the avoidable (i.e. both those intentionally avoided “intentionally added”) dietary carcinogens referred to above would continue to be unwittingly consumed by millions of people. And this is aside from those carcinogens that are not added to foods, but actually ARE the foods, such as our next and main topic casein in dairy. 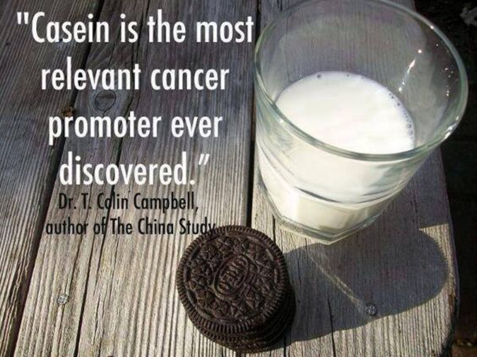 The animal protein used by Professor T Colin Campbell and his team of researchers was casein, which represents around 85% of all the protein in cow’s milk. 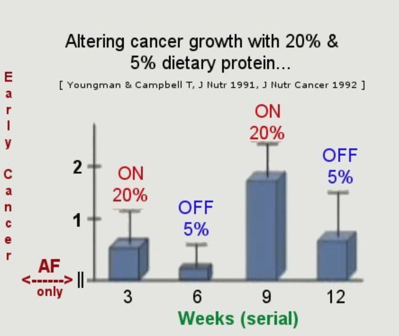 He demonstrated that you could turn cancer tumours on and off in rats and mice merely by alternating the amount of protein consumed from 5% to 20% and then from 20% back down to 5% of their total daily calorie intake. Since this research, which is now decades old, he was able to identify the precise mechanisms concerned and how they are involved in all three phases of cancer development. 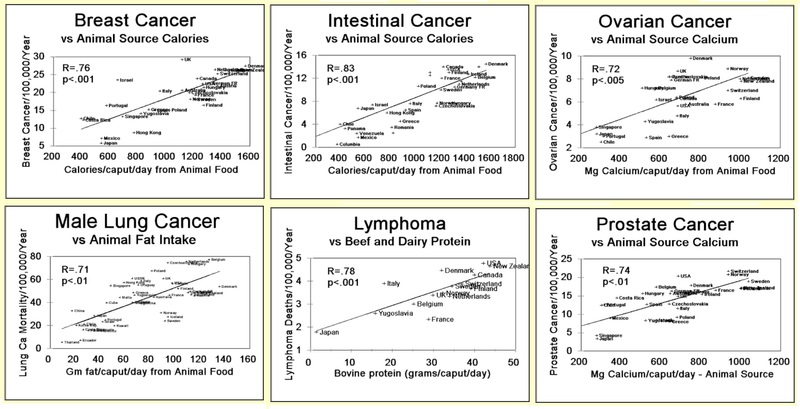 He is also convinced that other animal proteins have the same detrimental effects – that is, if animal protein intake is increased then cancer risk also increases; but if animal protein intake is reduced then the cancer risk decreases. This can be witnessed in human populations. 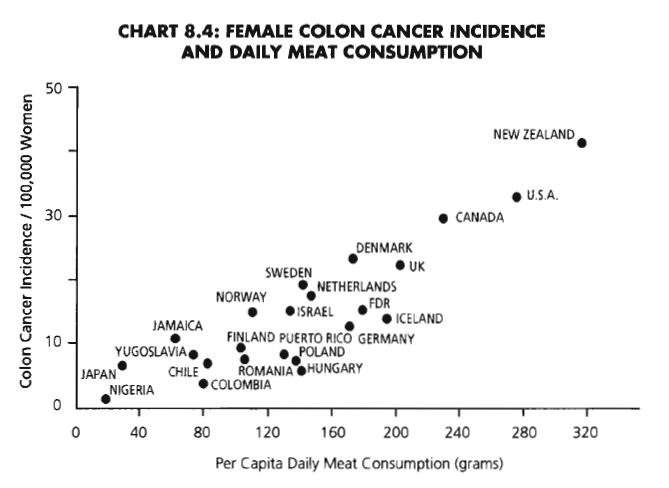 The following graph shows the example of breast cancer and its geographical spread by country and quantity of average national levels of animal protein (and in this case, also animal fat) consumption. 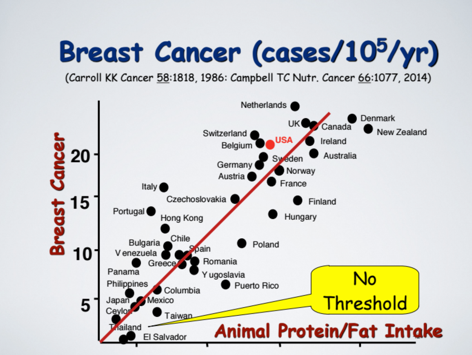 The USA is highlighted in red, but the UK has even higher incidence of breast cancer per capita, reflecting the corresponding higher protein (and fat) intake. The following chart from The China Study shows female colon cancer rising with meat consumption. Assuming a causal rather than a merely correlational relationship between these factors, we can identify the particular protein’s amino acid composition as the specific reason for the adverse effects. Sufficient studies for more than 50 years have shown that the nutritional responses of different proteins are attributed to their differing amino acid compositions; and the differences in nutritional response between animal and plant proteins disappear when any limiting amino acids are restored. Limiting amino acids are those essential amino acids which are present in only small quantities within any given food. The only “food” completely lacking one essential amino acid is gelatin which completely lacks tryptophan. All other foods, as far as I am aware, contain all the essential amino acids, but – and this is the significant point – in varying amounts. elevated body acid load (metabolic acidosis). Unlike animal proteins such as casein, plant proteins (for instance, the protein in wheat) does not stimulate cancer development. However, as indicated above – when wheat’s limiting amino acid, lysine, is restored to the relevant level, wheat protein acts just the same as casein in terms of cancer promotion. these different amino acid compositions produce different nutritional responses. While animal proteins do vary between themselves, any difference is much less than the degree to which they differ from plant proteins as a whole, and there is virtually no overlap between the two groups of protein. Plant proteins cause a lesser weight gain over a specified period of time. Rice, beans and wheat flour promote a slower rate of gain. So what’s wrong with that? Nothing, if you want your farm animals to grow rapidly to return the maximum profit over the shortest time; but not if you are a human. Rapid growth in childhood is not a beneficial thing and rapid growth of cancer cells in childhood or adulthood is generally accepted as undesirable. But it is possible to understand this when one considers the increasingly ubiquitous role that dairy plays in the majority of diets. Dairy products are in everything from pizzas to puddings, sherbets to soups. 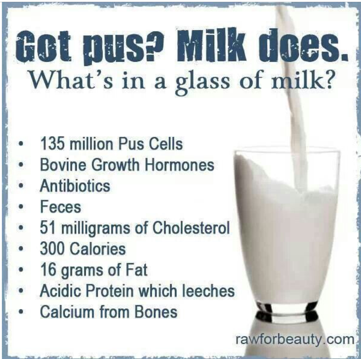 I needn’t tell you how much the dairy industry promotes its supposed (and largely discredited) health benefits – you just need to turn on the TV or flick through a magazine. And the public at large are so taken in by the claims that it is good for your bones (debatable) and or that it is a health food (debatable). T. Colin Campbell. J Nat Sci. Author manuscript; available in PMC 2017 Oct 18. Published in final edited form as: J Nat Sci. 2017 Oct; 3(10): e448. Cancer Prevention and Treatment by Wholistic Nutrition. David O. Carpenter M.D., Sheila Bushkin-Bedient M.D. Journal of Adolescent Health. Volume 52, Issue 5, Supplement, May 2013, Pages S21-S29. Exposure to Chemicals and Radiation During Childhood and Risk for Cancer Later in Life. Campbell TC. J Nat Sci. 2017 Oct;3(10). pii: e448. Cancer Prevention and Treatment by Wholistic Nutrition. Campbell TC. Nutr Cancer. 2017 Aug-Sep;69(6):962-968. doi: 10.1080/01635581.2017.1339094. Epub 2017 Jul 25. Nutrition and Cancer: An Historical Perspective.-The Past, Present, and Future of Nutrition and Cancer. Part 2. Misunderstanding and Ignoring Nutrition. Campbell TC. Nutr Cancer. 2017 Jul;69(5):811-817. doi: 10.1080/01635581.2017.1317823. Epub 2017 Jun 8. The Past, Present, and Future of Nutrition and Cancer: Part 1-Was A Nutritional Association Acknowledged a Century Ago? Campbell TC. Nutr Cancer. 2014;66(6):1077-82. doi: 10.1080/01635581.2014.927687. Epub 2014 Jul 18. Untold nutrition. Campbell TM, Campbell TC. Isr Med Assoc J. 2008 Oct;10(10):730-2. The benefits of integrating nutrition into clinical medicine. Sarter B, Campbell TC, Fuhrman J. Altern Ther Health Med. 2008 May-Jun;14(3):48-53. Effect of a high nutrient density diet on long-term weight loss: a retrospective chart review. Campbell TC. MedGenMed. 2007;9(3):57. Fail to test the impressive ability of diet to favorably affect long-term health and body weight loss. Campbell TC. Am J Clin Nutr. 2007 Jun;85(6):1667. Dietary protein, growth factors, and cancer. Wang Y, Crawford MA, Chen J, Li J, Ghebremeskel K, Campbell TC, Fan W, Parker R, Leyton J. Comp Biochem Physiol A Mol Integr Physiol. 2003 Sep;136(1):127-40. Fish consumption, blood docosahexaenoic acid and chronic diseases in Chinese rural populations. Feskanich D, Bischoff-Ferrari HA, Frazier AL, Willett WC. JAMA Pediatr. 2014 Jan;168(1):54-60. doi: 10.1001/jamapediatrics.2013.3821. 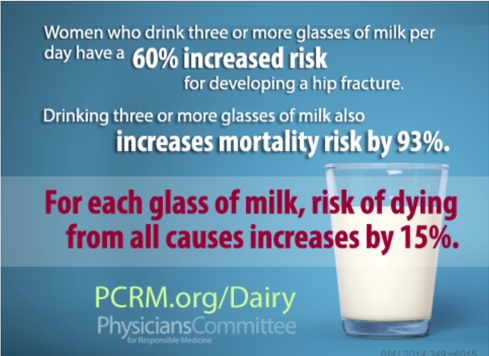 Milk consumption during teenage years and risk of hip fractures in older adults. Sun Z, Zhang Z, Wang X, Cade R, Elmir Z, Fregly M. Peptides. 2003 Jun;24(6):937-43. Relation of beta-casomorphin to apnea in sudden infant death syndrome. Fiedorowicz E, Jarmołowska B, Iwan M, Kostyra E, Obuchowicz R, Obuchowicz M. Peptides. 2011 Apr;32(4):707-12. The influence of μ-opioid receptor agonist and antagonist peptides on peripheral blood mononuclear cells (PBMCs). Kost NV, Sokolov OY, Kurasova OB, Dmitriev AD, Tarakanova JN, Gabaeva MV, Zolotarev YA, Dadayan AK, Grachev SA, Korneeva EV, Mikheeva IG, Zozulya AA. Peptides. 2009 Oct;30(10):1854-60. Beta-casomorphins-7 in infants on different type of feeding and different levels of psychomotor development. B C Melnik, S M John, G Schmitz. Nutr J. 2013; 12: 103. Milk is not just food but most likely a genetic transfection system activating mTORC1 signaling for postnatal growth. C Melnik. J Obes. 2012;2012:197653. 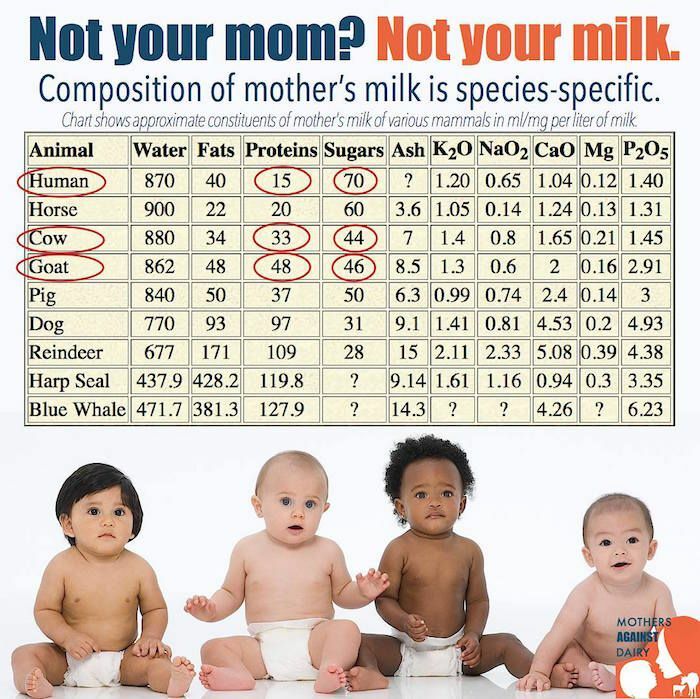 Excessive Leucine-mTORC1-Signalling of Cow Milk-Based Infant Formula: The Missing Link to Understand Early Childhood Obesity. M S Kramer. J Pediatr. 1981 Jun;98(6):883-7. Do breast-feeding and delayed introduction of solid foods protect against subsequent obesity? B C Melnik. World J Diabetes. 2012 Mar 15;3(3):38-53. Leucine signaling in the pathogenesis of type 2 diabetes and obesity. A S Wiley. PLoS One. 2011 Feb 14;6(2):e14685. Milk intake and total dairy consumption: associations with early menarche in NHANES 1999-2004. D S Ludwig, W C Willett. JAMA Pediatr. 2013 Sep;167(9):788-9. 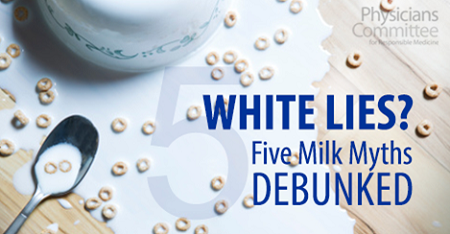 Three daily servings of reduced-fat milk: an evidence-based recommendation? K Arnberg, C Molgaard, K F Michaelsen, S M Jensen, E Trolle, A Larnkjaer. J Nutr. 2012 Dec;142(12):2083-90. Skim milk, whey, and casein increase body weight and whey and casein increase the plasma C-peptide concentration in overweight adolescents. P Wilde, E Morgan, J Roberts, A Schpok, T Wilson. Physiol Behav. 2012 Aug 20;107(1):172-5. Relationship between funding sources and outcomes of obesity-related research. Youngman LD, Campbell TC. J Nutr. 1991 Sep;121(9):1454-61. High protein intake promotes the growth of hepatic preneoplastic foci in Fischer #344 rats: evidence that early remodeled foci retain the potential for future growth. 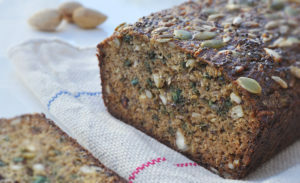 This is one the healthiest bread recipes I have come up with. It may not have the oily and salty attraction of some other breads – because, well… it has NO OIL OR SALT! We can all get rather addicted to the convenience, texture and taste of commercially-prepared breads. The tastier and more “spongy” they make the bread, the more they will sell. But I wanted a bread that provides most of the convenience, texture and taste that we expect from bread, but without the fragmented food elements and chemicals that may be added, including: salt (1. ), sugar, (my recipe contains a small amount but commercial bread can contain lots), trans fats (“partially hydrogenated oils” – linked to serious health risks (2., 3. )), potassium bromate (oxidising agent), azodicarbonamide (dough conditioner/bleacher), monoglycerides & diglycerides (emulsifiers E471), butylated hydrocyanisole (BHA preservative linked to cancer (4., 5. )), caramel colouring (linked to cancer (6., 7. 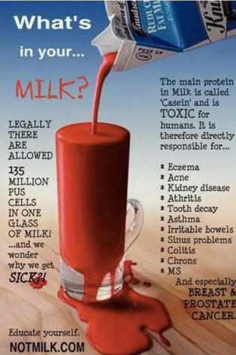 )), high fructose corn syrup (HFCS linked to heart disease and diabetes (8. )), Undeclared GMO Soy oil (9. ), vegetable oils (10,. 11,. 12,). And this is not a definitive list..
And if you still think that adding vegetable oils (even really expensive extra virgin olive oil) is a healthy option, you may want to check out some of my future blogs. In the meantime, a brief word from Dr Caldwell Esselstyn. 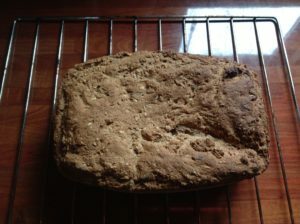 Whole Wheat Seeded Health Bread. This basic recipe forms the canvas on which the rest of the health bread recipes I use are formed. 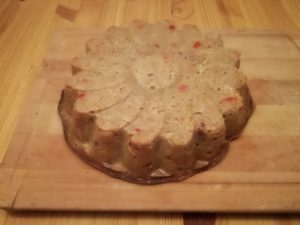 This recipe is incredibly versatile, and makes a delicious, moist health bread that can be enjoyed with any kind of meal. It is also delicious served with natural fruit preserves and organic, natural nut butters. These health breads don’t require kneading, as the ingredients form more of a batter than a dough once mixed together. Preheat the oven to 390 degrees (200 degrees Celsius gas mark 6). This recipe yields three loaves, so you will need three silicon medium-sized loaf tins – silicon so that they do not stick, being that no grease or oils are used. 4 cups (1kg) organic wholewheat flour. I vary this from time to time by adding differing amounts of wholemeal ancient flours – usually rye and spelt, but also sometimes Khorasan also called kamut (adds sweetness) or einkorn. 35-75ml organic raw brown sugar (I use as little as possible and let it rise for longer). 2 tablespoons (30ml) instant dried yeast. 0.5-1.5 cups (75-200g) mixed seeds (can include pumpkin, poppy, sunflower, sesame, flax, chia). 4 cups (1 litre) lukewarm water. Dissolve the sugar in the lukewarm water and sprinkle the yeast over the top. Cover tightly with cling film and a dish towel, and set aside for the yeast to activate, it will start to bubble when it has activated. In a large mixing bowl, mix together the flour and seeds. Add the water, sugar and yeast mixture and mix very well to form a slightly runny batter. Divide the batter equally amongst the loaf tins which should be on a firm metal baking tray. Place the bread tins somewhere warm and draught-free until the batter has risen and the loaves have doubled in size. Bake for 45-50 minutes, until a dark crust has formed and the bread sounds hollow when tapped. You can also check that they are completely baked by using a skewer or knife. If there is any batter sticking to the latter, put them back in the oven for another 10 mins or so. Allow the loaves to cool in the tins for ten minutes before turning out onto a cooling rack. Try it. Vary it. Improve on it. And let me know how you get on. 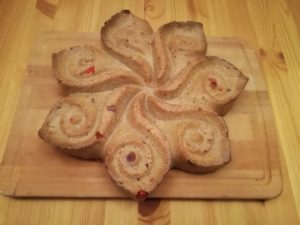 The following is Yuri’s “Flower Bread” – basically the same recipe with added red pepper and garlic, but made in a wonderful flower-shaped silicone bread/cake tin that he found in Italy. Trattner S, Becker W, Wretling S, Öhrvik V, Mattisson I. Food Chem. 2015 May 15;175:423-30. doi: 10.1016/j.foodchem.2014.11.145. Epub 2014 Dec 3. Fatty acid composition of Swedish bakery products, with emphasis on trans-fatty acids. Otterweck AA, Verhagen H, Goldbohm RA, Kleinjans J, van den Brandt PA. Food Chem Toxicol. 2000 Jul;38(7):599-605. Intake of butylated hydroxyanisole and butylated hydroxytoluene and stomach cancer risk: results from analyses in the Netherlands Cohort Study. Garima Sengarcorresponding author and Harish Kumar Sharma. J Food Sci Technol. 2014 Sep; 51(9): 1686–1696. Published online 2012 Feb 9. doi: 10.1007/s13197-012-0633-z. Food caramels: a review. James M. Rippe Theodore J. Angelopoulos. Advances in Nutrition, Volume 4, Issue 2, 1 March 2013, Pages 236–245, https://doi.org/10.3945/an.112.002824. Sucrose, High-Fructose Corn Syrup, and Fructose, Their Metabolism and Potential Health Effects: What Do We Really Know? N.B. The symposium was supported in part by an educational grant from the Corn Refiners Association (I ALWAYS SUSPECT BIAS WHEN THUS FUNDED).